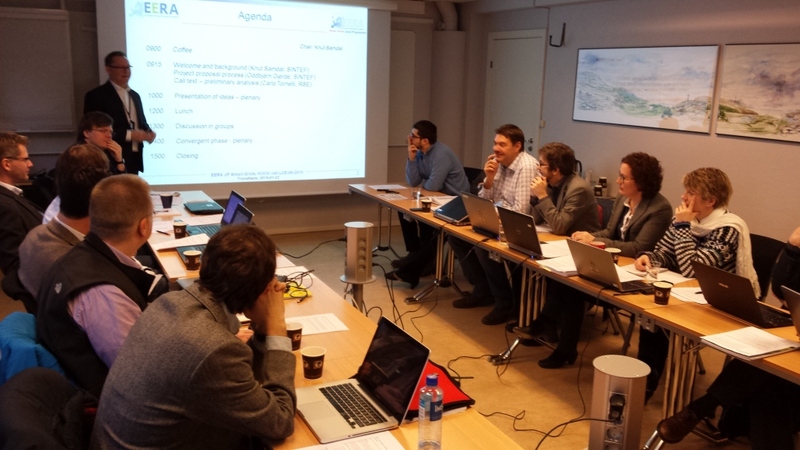 Scientists from across Europe met in Trondheim, Thursday 22 January, to coordinate future research projects on transmission networks. 5 May is the application deadline for EU’s funding program for research and innovation, Horizon 2020. The call gives you the opportunity to gain support for major European research projects. In Horizon 2020 they emphasize research that will lead to new adoptable intelligent solutions. The ambition is that research in Horizon2020 will solve major societal challenges in areas such as secure, clean and efficient energy. We at SINTEF Energy and our research partners in Europe are ready to contribute to solving major societal challenges. To realize the objectives of the SET-plan (The SET-Plan is the technology pillar of the EU’s energy and climate policy) it is essential that the European research is coordinated and targeted. SINTEF plays a particularly important role as coordinator of transmission network research together with RSE (IT) in the European Energy Research Alliance (EERA) in our joint program on Smartgrid. Those who attended our meeting in January were research partners we work with in EERA, on both Smart Grid and WindEnergy. Participants came from TNO from the Nederland, VITO and Laborelec from Belgium, Institute of Electronics and Computer Science from Latvia, VTT from Finland, Tecnalia and CIRCE from Spain, RSE from Italy, Instytut Energetyki from Poland, Technical University of Denmark, Austrian Institute of Technology, University of Strathclyde from Scotland, and SINTEF and NTNU from Norway. During the day, several promising project ideas and proposals were developed. From these we are now in the process of formulating three project applications. We hope our applications will receive support through H2020, because we think they will be an important contribution to solving the energy challenges in Europe. I believe we will have some good projects ready by 5. May.